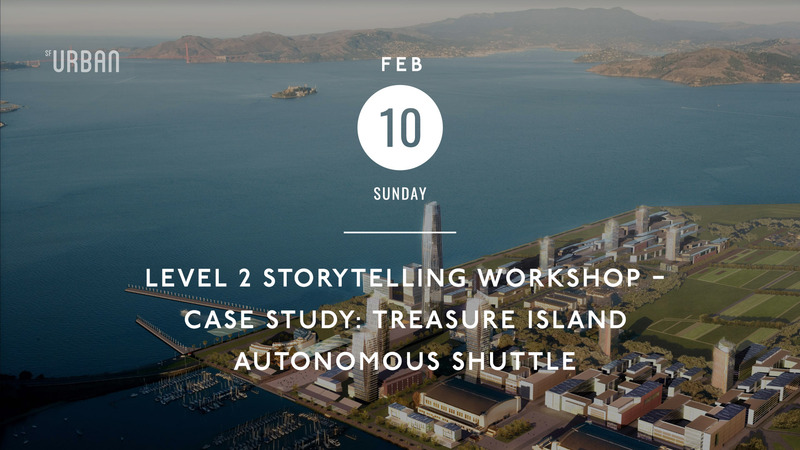 The SF Urban Film Fest is excited to partner with San Francisco County Transportation Authority (SFCTA) on an intensive hands-on Level 2 Storytelling Workshop which will build upon the basics taught in the Level 1 Storytelling Workshop and apply the lessons learned to an urban planning process that is happening in real time – the implementation of the autonomous shuttle on Treasure Island. The SFCTA is developing an autonomous vehicle shuttle to help people get around the island and reduce single-occupancy vehicle trips because the population is expected to grow by more than 20,000 residents over the next 20 years. Working in small groups of 5 led by a team leader who is a storyteller/media maker, participants will develop a communication campaign for eliciting public feedback on the autonomous shuttle. SFUFF strongly recommends completing the Level 1 workshop prior to taking the Level 2 workshop. This workshop was postponed due to a family emergency. It has been rescheduled to Feb 10, 2019. Your ticket is transferable to the new date. We also offer refunds, and are sorry for any inconvenience.